Paramvir Maniktala is the founder of Servicio, which delivers a competitive gig-economy platform for e-commerce and retail where anyone can become a courier. 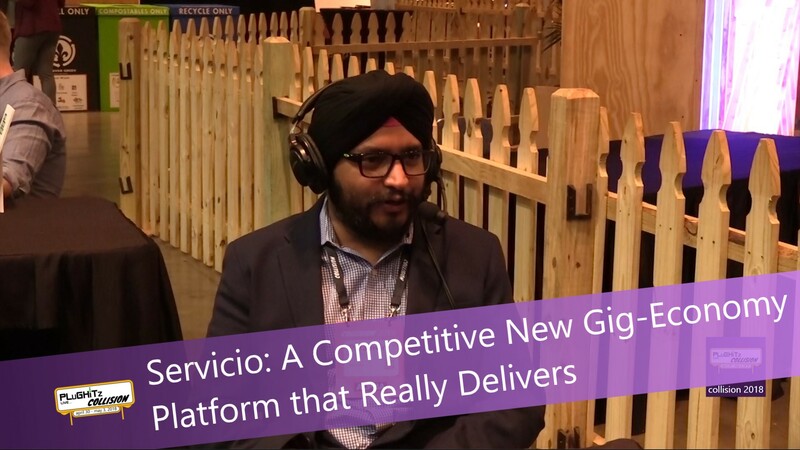 Servicio is a supply chain & logistics company with a twist: think Ubereats but which delivers a lot more than food inexpensively to your doorstep. Servicio delivers everything from groceries to electronics, clothing and more. Inspired to solve the challenge of expensive gas and high delivery costs encountered in his native India, which can shrink already modest profit margins, Maniktala took a page out of the peer-to-peer rideshare platforms common today, and launched Servicio, with the tagline "Connecting Life to Life." Now even small companies with limited delivery needs can offer the perk of local shipping without incurring the expense of contracted services, in-house staff or the cost of a company delivery vehicle. In addition to the low cost, the system provides fast turn around within a small hyperlocal delivery area, transparency, and a verification process that ensures products are safe and drivers are vetted. Servicio also changes the delivery dynamic by giving 90% of the delivery fee to local couriers, with only 10% commission to Servicio. With the peer-to-peer web platform, users can book their consignments with the goal of better brand placement for retail, e-commerce & SME industry at affordable pricing. Servicio benefits from low overhead costs, requiring neither warehouses nor a delivery fleet. It's a decentralized process of one person to one person, with no middleman or central distribution center to incur additional costs. For individuals, the website platform allows users to sign up to book their own consignments. Local transport company owners can also participate. Servicio is banking both on the social welfare component of its mission, that not only motivates local couriers with the majority of delivery fee earnings, but also a royalty program, as well as the lure of cheap labor for companies wanting to offer local deliveries as an extra perk. Servicio is currently an alpha stage company, which Mankitala brought to Collision 2018 to help raise interest and capital. Learn more at their website.